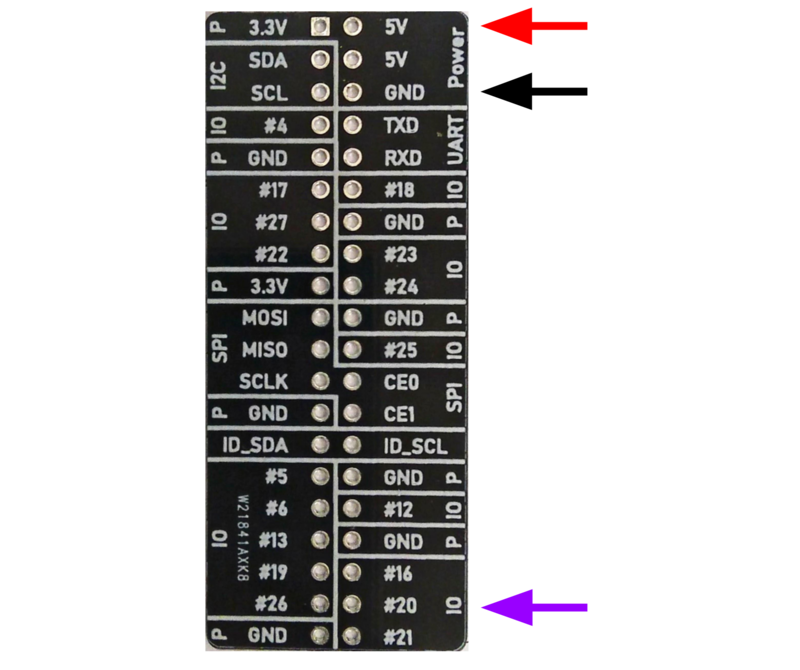 Learn how to wire a passive infrared sensor and read it’s state in Node-Red. A passive infrared sensor or PIR is able to detect movement by measuring the change of infrared radiation. This PIR comes in a 3 pin package, if you remove the diffusion cap you can see that the pins are labeled “VCC”, “OUT”, and “GND”. VCC means “voltage at the common collector” and normally refers to a power rail within a circuit, this sensor requires 5 volts. OUT is the pin we will read information from. GND is the ground connection. I encourage gently taking off the diffusion cap on the PIR to view the pins labels. 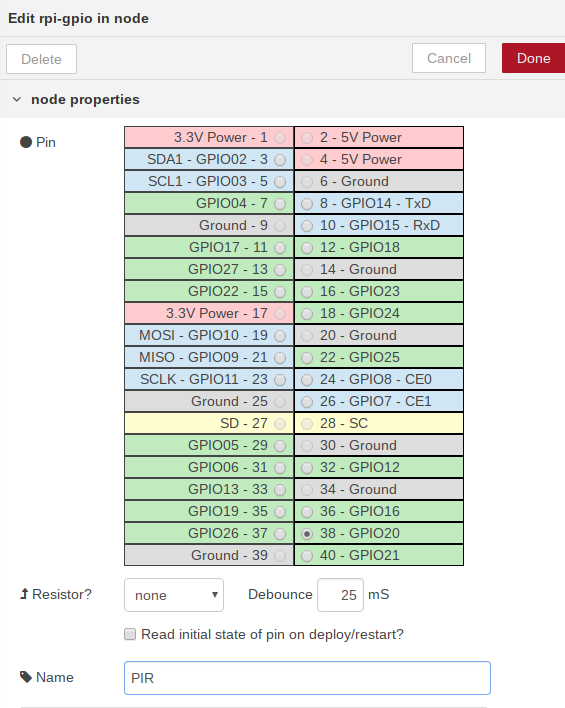 GND goes to ground, VCC goes to 5V, and OUT is connected to a 100 ohm resistor and then to GPIO20. Double click on the Raspberry Pi input node to open its configuration menu. Set the Pin to GPIO20. Name the node “PIR”. If everything has been put together correctly, the state under the PIR node should change from a 0 to a 1 if movement has been detected and then back to 0 after a period of time, inspect the debug tab to view a log of these state transitions. You may have noticed the two components under the PIR with a plus pattern on them. These are adjustable potentiometers, they control the sensitivity of the PIR and the duration of the activated state. Can you use the activation of the PIR to take a picture with the Pi camera?